We are now offering incredible air rifles to our customers! 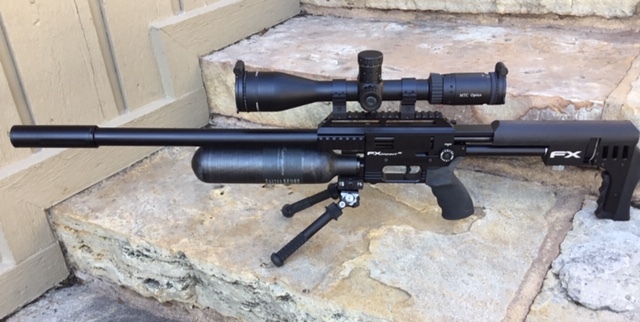 These pre-charged pneumatic rifles offer MOA accuracy and 950 fps velocity! Suppressed and very quiet with better accuracy than most quality .22's. Many caliber choices (.177, .22, .25, .30 and larger). FX is our premier brand, but many other brands available. Call us and get the story on these incredible rifles!